What Are The Signs Of Mold In Your House? What Are The Signs And Symptoms Of Having Mold In Your House? Whether you’re selling a home, preparing to buy one for the first time, or just performing regular maintenance, the issue of mold may worry you – particularly if your home is in a damp environment. In most cases, a typical home inspection won’t include mold inspections and testing. You will need to hire a professional mold inspector to check your home for issues like black mold. So, to help you understand whether or not you may need a home inspection for mold, we’ve put together this comprehensive guide that will help you understand the signs and symptoms of mold, know what next steps to take if you think you have mold issues, and provide you with other helpful information and tips that will help you deal with a potential mold problem. Mold is, simply, a kind of simple microorganism. It is a fungus, which grows in filaments and usually has a “fuzzy” appearance. There are thousands of types of mold – and most of them are completely harmless to humans. Mold spores are common, and present in the air we breathe. Mold feeds on organic matter, such as starch, cellulose and lignin – which is why they can become present on things like drywall and wood. The mold uses these materials as a food source. In most cases, mold is not harmful unless it’s ingested. However, there are some types of mold – “black mold” being the most well-known – which may have harmful effects on humans and animals. We will discuss that in-depth later in this guide. To sum up, a mold is a type of fungus which tends to grow in large colonies, in areas where moisture and a food source are present. They also tend to avoid light. Why Does Mold Form In Homes? Mold forms in homes because, in many cases, a home is the ideal place for mold to grow – particularly in basements and other areas which may be dark and moist, and have a similar temperature all-year-round, due to furnaces and water heaters. Essentially, there are mold spores in the air at all times – and once they find a place that’s hospitable to them, they’ll start reproducing, causing a visible mold problem. Wondering what types of mold are the most common in houses – and which ones you should be concerned about? Let’s discuss a few of the most common types of household mold now. Cladosporium – Cladosporium is one of the most common household molds. It usually grows in a greenish-brown colony, but can also be nearly black in color. It is rarely harmful unless you have a mold allergy, but may cause minor issues like toenail or fingernail infections. Penicillium – Penicillium is sometimes called “green mold”, as it is usually dark green in color. It tends to grow in large, consistent “patches” on the walls. As the name suggests, penicillin is derived from some kinds of this mold. However, some kinds of penicillium mold may be toxic to humans and animals. Aspergillus – This type of mold is usually greenish-white in color, and may be more “raised” with a more cloudy appearance than other types of mold. It is not harmful, unless you have a weakened immune system, in which case it could infect the lungs or sinuses. Alternaria – Alternaria mold is usually greenish-white, but can also appear in black patches, so it’s sometimes confused with “black mold.” Alternaria can be a factor in exacerbating asthma, particularly for those who may have mold allergies. Stachybotrys chartarum/Stachybotrys atra (Black Mold) – Black mold is one of the most dangerous types of mold. Typically, this is the only type of mold you should be seriously concerned about. It produces harmful mycotoxins that can compromise indoor air quality, and cause stachybotryotoxicosis, a serious infection caused by spore inhalation. It is a deep black in color, and usually appears in circular “patches”, which can range widely in diameter. It is common on gypsum drywall, particularly in water-damaged homes. Wondering how you can prevent mold from affecting your home? Here are a few tips that may help you prevent mold from forming altogether. Keep things clean – Dirty surfaces can provide mold with the organic food materials they need to take hold, and start growing throughout your home. Be particularly careful in areas which may be damp, such as kitchens, bathrooms, and attics. Address dampness – Dampness may be an issue if you live in an area which receives a lot of rain, or your basement floods. Make sure to ventilate your home as much as possible in humid climates, and soak up any visible moisture as soon as possible. Keep the air dry – Air conditioners and dehumidifiers can help reduce the moisture content of the air. Keep your air at 40-50% relative humidity for the best comfort, and to prevent the growth of mold. Heat damp areas to dry them out – You may consider using space heaters or even a hair dryer to heat damp areas of your home where mold may form. This is a short-term fix, though. It’s best to address the source of the dampness, not the dampness itself. It can be hard to tell if you have mold in your house. Obviously, if you see mold somewhere, you’ve got a mold problem in your house, but mold can hide in walls, ventilation ducts, crawl spaces, and in other hard-to-see areas. A common way to check for mold is to smell for it. A “musty” smell in an area of your home is often an indicator that there is some kind of mold present. Symptoms like a persistent runny nose, watery eyes, sneezing and throat irritation could also be indicative of mold. In addition, anywhere that has been exposed to a significant amount of moisture – such as water damage from flooding – is a potential area where mold may be growing. Look for water where it shouldn’t be, and check areas which may have flooded in the past. A mold exposure test is often the best way for you to check for mold on your own. You can pick one up at any home improvement or home supply store. Simply follow the instructions on the box. Usually, you’ll just brush the surface where you think mold may be present, and send the test strip or brush in for a laboratory analysis. If mold is present, you’ll be notified. If there is an area of your home where you think mold may be present in the walls – due to smell, a strange appearance of the wall, or any other factor – there are a few ways you can test this. The simplest way is to probe the area with a screwdriver. If the area is soft or the screwdriver easily pierces the drywall, mold likely has “rotted” the surface away, and you’ll be able to see it once a hole has been opened up in the surface. Be careful when doing this – and do not do it near any wiring or electrical outlets. You could also use a fiber optic camera to look around inside after opening a hole in the wall, but at this point, you may as well hire a professional inspector. A professional inspector has the tools required to examine the wall thoroughly, and ensure that it’s mold free – or detect any potential issues. Can You Get Sick From Mold In Your House? Yes. Those with allergies, compromised immune systems, asthma, or other such issues are at a higher risk – as even minor, non-toxic molds could cause a variety of uncomfortable symptoms. Mold in your house is rarely life-threatening. However, prolonged exposure is far from ideal – for a number of reasons. Mold poisoning can cause a number of different symptoms, depending on the age of the affected individual, the strength of their immune system, and whether or not they have a pre-existing mold allergy. Here are a few of the most common signs and symptoms of mold poisoning in humans. Most of these symptoms will only be present in homes with extremely significant levels of a harmful mold, such as black mold, or in individuals who have a compromised immune system, or other systemic health problems. Can I Stay In My House With Black Mold? We don’t recommend it. If you have found a small, isolated patch of black mold – and you are quite certain that there is no other mold in your house – you may be able to stay, and simply remove the mold yourself. However, in most cases, one patch of black mold is just the “tip of the iceberg” so to speak. If black mold is present in your home, chances are that it has spread throughout many different parts of your home – and simply removing the visible mold may not be enough. If you are young, healthy, have a strong immune system and no health difficulties, or do not have children or pets, you may consider staying in your house. Still, it’s better to be safe than sorry – so if a mold inspection reveals high levels of black mold, we do not recommend staying, until it has been treated. If you only have a minor, isolated mold problem, and the mold is not a dangerous type of black mold, you may be able to get rid of it yourself. By simply using a bleach/water solution, you can kill the mold on the surface of the wall or other area, and wipe it away. If you have a small patch of mold, and you are relatively certain that there is no more mold in your home, this may be a viable option for you. However, mold removal can be quite difficult. In addition, removing mold alone does not mean you’ll be free of the issue in the future. You’ll need to address the cause of the mold – such as water damage, excessive condensation, poor ventilation, and so on. The best way to make sure you get rid of mold in your house is to hire a professional mold inspector. They will conduct a thorough examination of your home, and assess the molds that are present. Then, they will be able to recommend a mold remediation specialist who can help you get rid of the mold – and its root cause – in your home. Know How To Recognize Mold In Your Home! With this guide, you should be able to recognize common types of mold in your home, the severity of your mold infestation, and be able to take the proper next steps to get help. If you have noticed a mold problem – or believe that there is mold hidden somewhere in your home – we recommend that you contact L&H Home Inspections right away and request an inspection. We can help you identify and isolate your mold issue, and get the mold remediation services you need to restore your home. Even if you find an unbeatable deal on your dream house and you’re ready to sign the deal, it’s a good idea to hire a home inspector to take a second look. A home inspector is your best friend during the home buying process. They catch common issues that may escape the attention of even the most detail-oriented home buyer. A home inspector’s job is to be thorough and comprehensive, and issue a report that only states the facts about the condition of the home. In fact, there are more than 1,600 elements taken into consideration in a comprehensive home inspection report – though many of these are quite minor. Here are the top things that home inspectors look for, and the most common issues found during the home inspection process. The garage is an important part of the home inspectors process. The garage door operator itself is tested for proper operation and safety. The photo-eye sensors at the bottom of the garage are checked to ensure that the garage door reverses when an object crosses it’s path when closing. In addition, the mechanical reverse function is checked in case there is an object in the way that the photo-eye sensors don’t pick up. The weather stripping located on the bottom of the door plays a vital role as well as it helps keep water and pest from entering the garage. Faulty plumbing is another issue that can be extremely costly, if it’s not identified before you buy the home. Replacing old pipes is very expensive, and if a pipe fails or breaks without you knowing it, it can cause significant and severe water damage to your home, which may be extremely costly to fix. Your home inspector will take a look at the basic functioning of the plumbing system, by testing all water-based appliances such as water heaters, toilets, sinks, tubs, and even dishwashers and washing machines. They will also examine the pipes to see if they are in good condition, or if they’re made of an outdated material like polybutylene, and may need to be replaced. If an issue is found, it will be brought to your attention – it may be minor, and simply require the replacement of a toilet or another fixture – or be more severe, requiring a more expensive course of action, such as replacing old piping. Outdated electrical wiring is one of the biggest things that home inspectors look for. If you were buying a house that was built before the 1950s, for example, it could use “knob and tube” wiring – a system that is unsafe for use with most modern appliances, and presents a serious fire risk. There could be other issues, too – DIY wiring in the attic or crawlspace, or in other areas, or electrical repairs that were improperly done. Home inspectors will look for all of these wiring issues – and they are extremely thorough, because faulty wiring can prevent your home from being insured properly. For example, many home insurance companies refuse to underwrite a home that has “knob and tube” wiring – because it’s a fire risk. Electrical issues can be quite expensive to repair, so it’s best to negotiate a lower price with the homeowner, should you find that the wiring has serious faults and deficiencies. While it may seem like a small thing, examining the trim and function of the windows, doors, and other openings in a home is a good way to assess the overall quality of the home, and to ensure that it is free of drafts and other insulation issues which may raise your power bills. Examining these areas also provides the home inspector with a better idea of the craftsmanship of the home. If the doors and windows are crooked or warped, this may be a sign that the house is settling excessively or was built using sub-par materials. The condition and quality of the roof is another major aspect of the home inspection process. 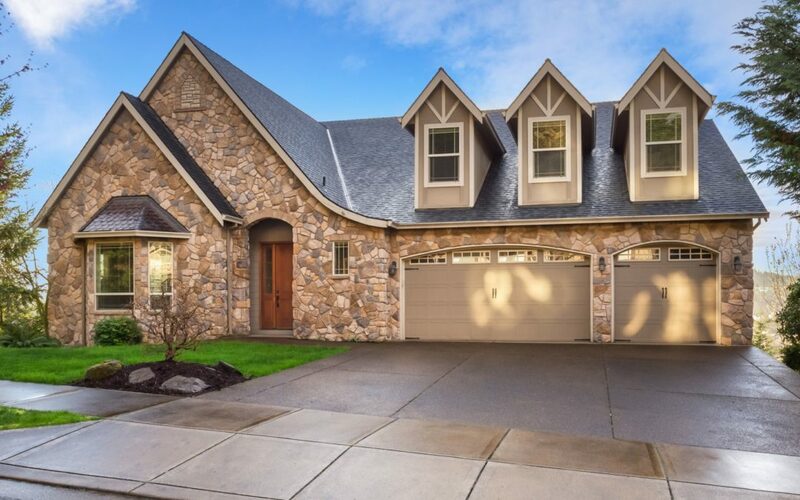 The home inspector will take a look at the roof shingles or other roofing material to ensure that the roof has been properly installed and maintained. They will also check the gutters and the flashing of the roof systems, and other major structural elements of the roof. The attic and topmost floors will also be inspected for signs of major water damage, moisture, and any other symptoms of a leaky or improperly-installed roof. As roof repairs and installations can cost thousands of dollars, this is a critical step in the home inspection process. Beyond the HVAC system and other major appliances, the home inspector will check all the other large appliances in the home for safety and quality, such as the oven and range, refrigerator and freezer,) and other such systems. If a washing and drying machine is included with the sale of the home, inspectors will often to make sure they power up. Home maintenance is a serious cost of home ownership – but the cost of utilities can also be a serious consideration when you are thinking about buying a home. As a rule, older homes are not ventilated or insulated as well as newer homes, which means you’ll be paying quite a bit more for heating and cooling. Air leaks in attics, around windows and doors, crawlspaces, and around vents and other systems that reach through the ceilings and the exterior structure of your home can cost you a lot of money in the long run – it’s estimated by the ENERGY STAR program that you can save up to 12% or more in heating/cooling costs by adding more insulation and sealing these leaks. Your home inspector will give you an overall assessment of the home’s energy-efficiency and ventilation/insulation to help you understand what improvements can be made. Your inspector will take a look at each of these systems, and assess their quality and integrity. They may also inform you if there are issues with the air conditioning system or the furnace – and if it may need to be replaced soon. Air conditioning systems often last anywhere from 8-14 years, and can be quite costly to replace, so this is another factor to consider when you are thinking about purchasing a home. During the entire home inspection process, the home inspector will be looking at the integrity of major home systems that are expensive to replace – but they will also be looking at the general state of the home, so that they can give you an adequate assessment of its general condition, and how well it has been maintained. While many smaller home maintenance projects, such as repainting, replacing toilets and bathtubs, replacing baseboard, and other such repairs are quite inexpensive, the costs can mount up over time. If the owner has deferred maintenance on many parts of the home, and it’s not in the best condition, you may have to spend quite a bit of money restoring it over the next few years, as it continues to deteriorate. It boils down to this – if the owner did not take proper care of the home, and is not doing so now, someone is going to have to take care of it later. And if you buy the home, that’s going to be you. If the home you are interested in is not graded properly, and water cannot drain away from the foundation or the crawlspace, this is a huge red flag for a property inspector. As water collects, it can seep into the foundation, and into the basement of the home, if present. This is an especially serious problem in areas of the country where the ground freezes during the winter, as the water that surrounds the foundation can freeze, causing cracks and structural damage to the foundation itself. In some cases, the foundation may be intact – but regrading of the home must be done in order to ensure that no damage occurs in the future. Know What Home Inspectors Look For! 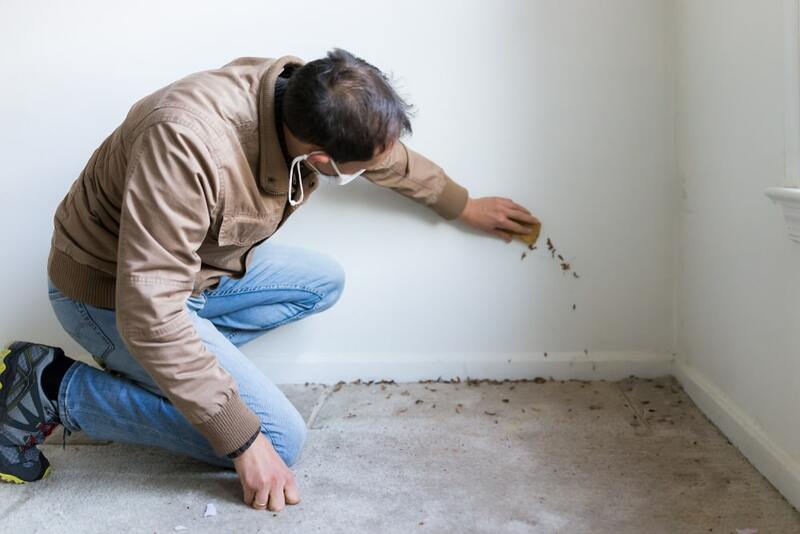 Home inspectors look for anything that may be wrong with your potential new home! Buying a home is one of the biggest investments you are going to make in your lifetime. Your home inspector will give you an honest, objective assessment of the quality of the home you’re interested in, alert you to potential issues that may be costly in the long run, and give you a report that can help you renegotiate the terms of your sale – or even back out entirely, if significant structural issues are found with the property.